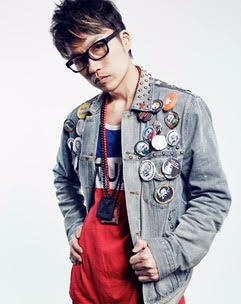 Kohei is a singer/MC from Tokyo Japan. He is usually working and touring alongside Japanese Recording Artist TiA known for the ending theme for “NARUTO” & “Yakitatte Japan”. When performing solo he is still a power house of entertainment as he’s won first place at the world famous Apollo theater, and was a finalist out of 20,000 contestants in McDonald’s Gospelfest 2016, 2017, 2018. Kohei is an official MC at Japan Fes which is the biggest Japanese street event in east coast. He has performed at Anime Expo LA, Anime California, Animinneapolice, San Japan, Houston Japan Festival, Brooklyn Botanic Garden Sakura Matsuri, San Francisco Cherry blossom festival, Saikou con, Delta H Con, Animanga Expo, JFAX, Grand Rapids Asian Festival, Charlotte Dragon Boat Festival, New York Comic Con After Party and Anime NYC After Party in 2018. He has also performed many times in festivals of Germany and Italy as well, from 2012-2014, Opened up for R&B Legend Case, Lyfe Jennings, Lil mama and Raekwon from Wu Tang Clan in 2015. Has even hosted a music event at the Jay-Z’s Mom’s restaurant.